There are 2 options for delivery. For smaller orders, they can be delivered curbside by a common carrier with a liftgate. For larger orders, they are delivered personally by our company. Many growers go the easy way and use large mechanical diggers which damage the bamboo. 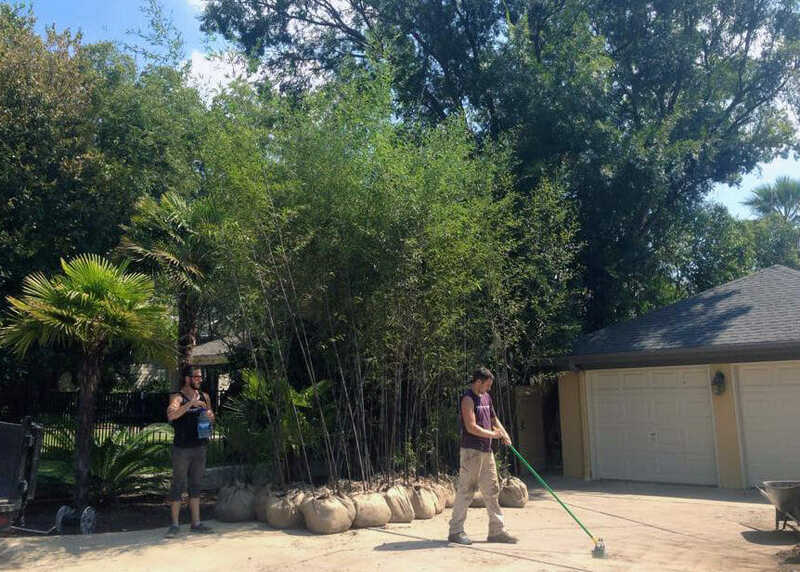 We treat your bamboo like we were digging it for ourselves. If you are planting indoors, our bamboo is perfect. Our interior acclimation techniques get your plants ready for indoor use. We transport these large field divisions by freight only as they are too large for UPS/FedEx shipping. 15 Gallon root balls are roughly 18 inches wide. We recommend leaving at least a few inches of extra space to allow for new growth. If you plant on 5' centers this should provide a nice screen in 2-3 years. 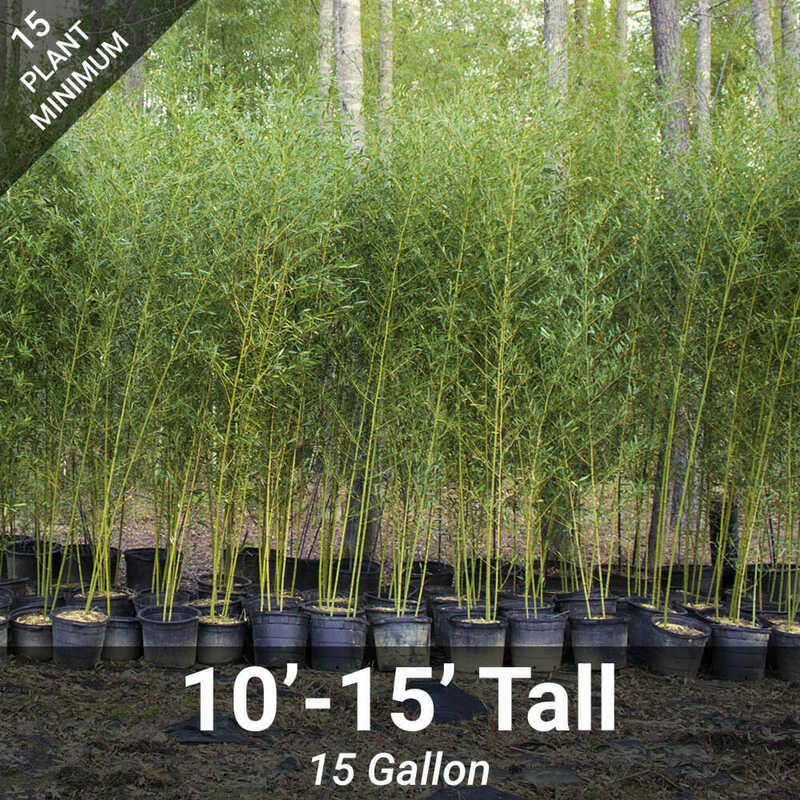 This listing is for 15 gallon size plants. 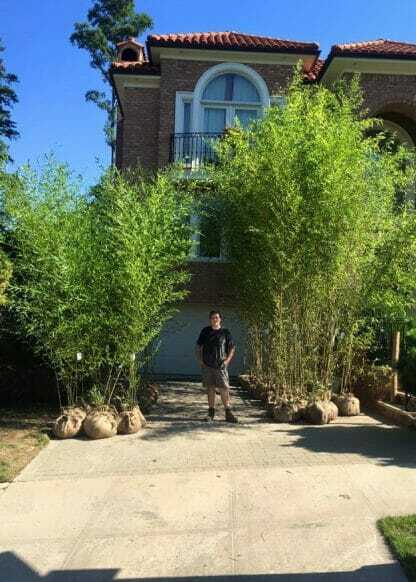 They have roughly a 18" rootball and range from 10'-15' tall. 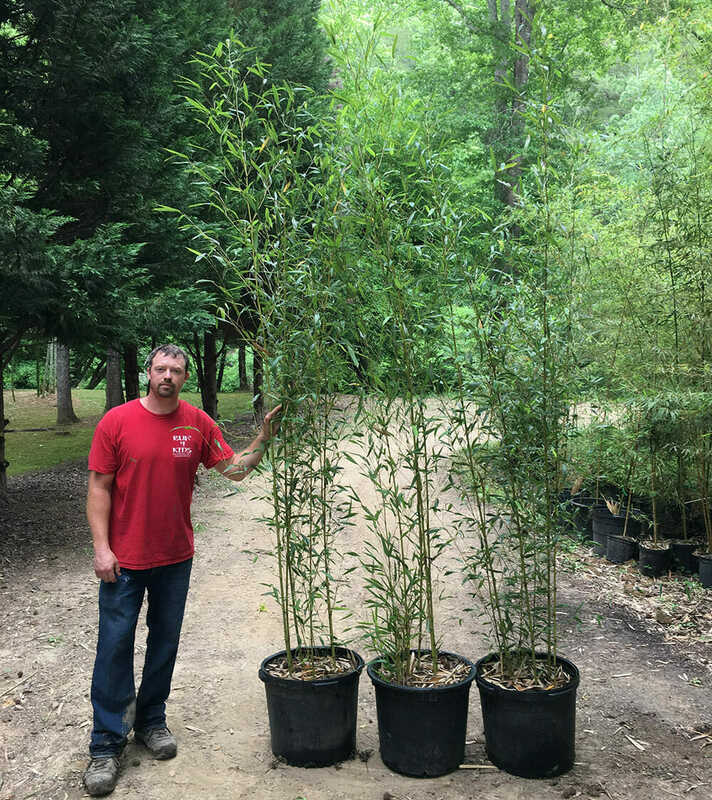 We do carry smaller sizes that can be found on our bamboo plant pages. Answered by the admin	Our 15 gallon sizes are $125 each.